Two more Steinmetz Alumni now have streets named after them. The ceremony was held on May 16, 2015 at 11am at the intersection of Menard and Barry. 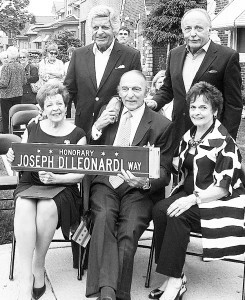 “Joe D” was accompanied by family and friends. Joe served 44 years in law enforcement. He was appointed Acting Superintendent of the Chicago Police Department and U.S Marshal for the Northern District of IL. He is a member of the Steinmetz Alumni Hall of Fame. The ceremony was held on Saturday May 9,2015 at 1PM at the corner of Normandy and Cornelia. 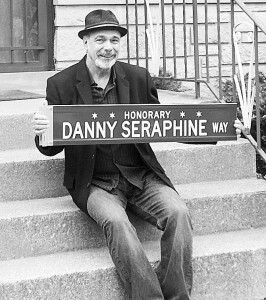 He is the former drummer of the rock band Chicago and current member of CTA (California Transit Authority) who grew up at 3516 N. Normandy, attended St. Priscilla Grammar School and Steinmetz High School before going on to study at DePaul University. He has been nominated for the Steinmetz Hall of Fame.